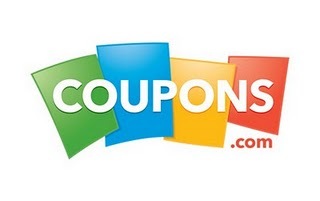 Check out the coupons currently available on Coupons.com. Make sure to print your favorites – because there are print limits on the old and new coupons! The coupons available to you will be determined by the zip code you enter and the offers you have already printed. (I used the zip codes: 53027 and 90210 for these). For 2 days only, Staples has 3 items you can get for free after easy rebate. These freebies are only available Sunday, March 4th and Monday, March 5th. There is a limit of 2 rebates per household. There are 7 items at Office Depot this week that will get 50% back in Rewards, so it's like getting them for half price! The Rewards are limited to 2 of each item per member per day. If you are not already a member of Worklife Rewards or a Star Teacher, you can join today and it is FREE. Sign up in-store or online for Worklife Rewards or Star Teacher. There are a few items that will be free after rebate at Menards from their current ad that runs March 4th-18th. The rebate is in the form of a merchandise credit check. Here is this week's new printable coupon from Hobby Lobby. Print this coupon and get 40% off one regular price item. This coupon is good through Saturday, March 10th. Housewares Deals always has different daily deals that feature Spice Racks, but today's new deal is one I don't recall seeing before and I think it is really unique. 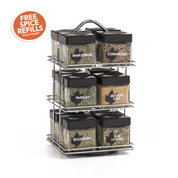 Today they have the Kamenstein® 12-Cube Legacy Spice Rack which includes 12 glass cubes with black plastic caps and free spice refills for 5 years; you pay shipping and handling per order of the refills starting at $4.40. The rack measures 10 1/2 inches high. The MSRP of this set is $40, but Housewares Deals has it for $25. Here is today's special magazine deal of the day at Discount Mags. On Sunday only, you can get Lucky Magazine for only $3.99/year. The cover price is $35.40 per year and the regular Discount Mags price is $9.99, but today use the Promo Code 5757 at checkout and you will get the special price. Lucky Magazine is the ultimate shopping magazine subscription. Each issue includes thousands of items ranging from clothes and jewelry to beauty products and accessories. Handy stickers help you mark the pages you love, and special features show comparable products in every price range to help you match the latest fashion trends on a budget. Shopping guides help you find trendy boutiques and hot sales in you area, and each issue features an exclusive only for Lucky readers. Go to Discount Mags to get this great deal. -40% Off Any One Regular Price Item. This coupon is good Sunday, March 4th-Saturday, March 10th. Michaels also accepts this coupon on a smartphone. -40% Off Regular and Sale of Your Entire Purchase of Artist Acrylic Paints, Brushes, Pencils, Pastels & Markers & More.